Green is indeed my favorite color from lime, to Olive, Chartreuse just name them, and I’ll style all shades. 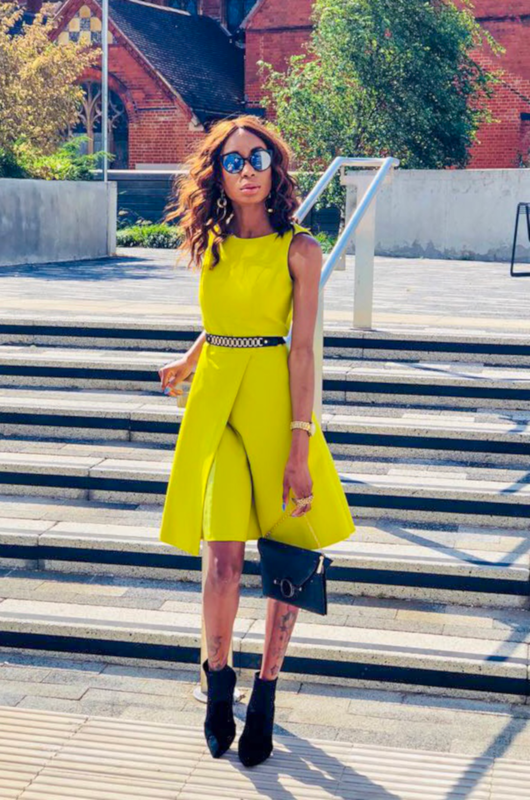 This lime green dress is the perfect fit to class for a 24 hours look. It comes belted with a green and silver belt, but I think it looks flattering with a pop of black to the waist, shoe/boots, and purse. The make of the dress will suit women of all body size with that draping fit to the body it will enhance all shapes and figure. This dress was a favorite of mine, if you like wearing loud colors, it’s a great statement piece that will definitely turn heads.